The domino effect of China reporting its weakest economic expansion in almost 30 years and the IMF cutting its global economic growth forecast to 3.5 percent for 2019 caused U.S. crude prices on Tuesday to plummet 2.3 percent. 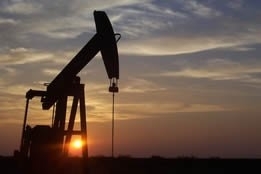 West Texas Intermediate fell $1.23 to $52.57 per barrel, and Brent also dropped, by $1.20 to $61.54. China's news - that its economic growth rate was 6.6 percent in 2018, the weakest reading since 1990 - was augmented by reports that South Korea's economy grew by 2.7 percent last year, the slowest pace in six years; compounding the bad news from China is the fact that while its demand for crude is still strong, it is increasingly refining oil into fuels, thus contributing to the perceived surplus in global supply that is the unwanted accompaniment to worries over weakening demand. But Craig Erlam, senior market analyst at OANDA, dismissed the idea that these negative headlines were spooking traders - at least as far as Tuesday's session was concerned: "While in skittish markets this may be enough to further exacerbate downward moves, this looks like nothing more than profit taking with these headlines another convenient reason to do so." Erlam isn't the only expert who is seemingly growing weary of negative news reports being touted as the reason for crude price losses: Bob Dudley, CEO of BP, told media at the World Economic Forum in Davos, Switzerland, "We're not actually seeing this worrying thought that it's all going to start falling; we certainly don't see it yet in the numbers." On the contrary, BP predicts that world demand for oil will grow by another 1.4 million barrels per day (bpd) in 2019, compared to demand growth of 1.3 million bpd last year; the energy giant also sees the world economy expanding at 3 percent or more and U.S. gross domestic product growing just under 3 percent - compared to the Federal Reserve last month cutting its outlook for U.S. GDP growth for 2019 to 2.3 percent. Refreshingly focused on the big picture and the long term, Dudley went on to say that oil prices are "heading back into a reasonable balance" following two "big" over corrections, and he added that "The world probably needs a fairway for oil prices, and somewhere between $50 and $65 seems to be a fairway for producers and consuming countries." Still guarded optimism doesn't seem to be a potent driver in crude prices, and Bloomberg noted that oil slumped by the most in almost a month during Tuesday's session. Also, Kyle Cooper, a Houston-based consultant at Ion Energy Group LLC, pointed out that "As equities are coming down from those reports, that's dragging oil down as well. "it might be time for some pullback."